Something in the milk ain't right! 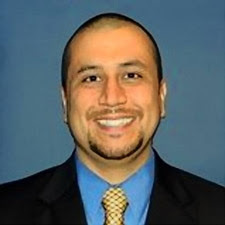 So the police have decided to release George Zimmerman's account of events that led to the death of Trayvon Martin. Maybe I'm biased, but the stuff he said is very suspect to me and at the least deserving of further questioning by the police officers i.e. an arrest. Trayvon was an unarmed black teenager who had committed no crime, they say, who was gunned down while walking back from a 7-Eleven with nothing more sinister than a package of Skittles and can of Arizona iced tea. Okay; so now we are to believe that a man lying on the ground, where he has gotten his head bashed; so he says; is able to get his gun, shoot and kill the person who is on top of you, who clearly has the best of you; because they are on top... and you come out the victor. Anybody who believes that has never been in a fight. Really. Come again. In Hollywood maybe, but real life; suspect.